Quick: Picture a person having a heart attack. Chances are the image that sprang to mind was of a middle-aged man clutching his chest. Yet cardiovascular disease, the leading cause of death in the United States, will kill six times as many women this year as it will men. Moreover, women, while less likely than men to have a heart attack, are also are less likely than men to survive one. The perception that women are at less risk of heart attack than men is due, in part, to the fact that women are more likely than men to have heart attack symptoms that are considered atypical. This often leads them to seek care later than men. One study found the average time it took for a man to seek treatment for a heart attack was 16 hours. In a woman it was 54 hours. And with heart attacks, time is of the essence. Eighty-five percent of the damage of a heart attack takes place in the first two hours. 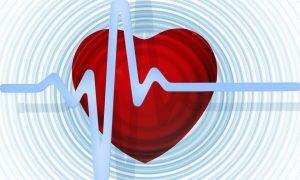 For these reasons, we all need to be aware of the particular symptoms associated with heart attacks in both men and women. While chest pain or pressure is the hallmark of a heart attack, one study found that nearly half of women had no chest pain at all while experiencing a heart attack. Instead they reported only fatigue and shortness of breath. The most important thing to remember, however, is that every heart attack is unique. If you are experiencing any heart attack symptoms, whether they are commonly associated with heart attacks or not, you should call 911 and go to the hospital.